We are all starting a brand New Year and I bet you are thinking of ways to bring more value to your company and, since you are at it, make your job easier. If you are a SAP customer in the midst of your digital transformation, you probably already now about the SUSE & Lenovo winning combination but we`ll go ahead and show you a few solutions. Whether you’re moving to SAP HANA, preparing for S/4HANA or simply expanding your use of SAP, you need the right systems in place to enable the agility, analytics and customer-centered focus you need. 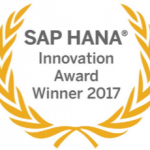 SUSE provides one Linux solution for all SAP applications and was named the SAP HANA Innovation Award winner in 2017. And, Lenovo`s modular design and large memory capacity of the ThinkSystem servers make them the most flexible and cost-effective way to run SAP applications. Now, to extend the Value of SAP HANA with Big Data you can leverage the Lenovo Converged Analytics Platform for SAP Vora, a scalable, end-to-end big data and analytics platform that allows companies to improve decision making by harnessing unstructured and structured data from a variety of environments and turn insight into action. SAP Vora is an In-Memory solution from SAP designed to add business logic and functionality to big data residing in large HADOOP file systems. According to Walter Muntzenberger, Vice President in the Global HANA Center of Excellence at SAP, VORA is designed for web scale and not designed to be a persistence layer. VORA would read data from your object store and create a memory image of that data for an analytic purpose, combine it with other data. HANA is meant not just as an analytic store, but also as an OLTP repository. Combining OLAP/OLTP into a single version of data. And finally, to manage all of that you need a powerful, analytics-based solution, designed to provide a single, unified view into both SAP applications and data center operations. 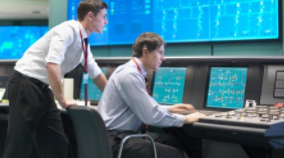 SAP ITOA can augment your other monitoring tools with user-friendly analytics and predictive capabilities to streamline IT operations, speed response times, reduce costs, improve transparency and more. According to Angela Harvey, SAP’s Product Manager responsible for SAP IT Operations Analytics, you would layer SAP ITOA on top of an existing monitoring tool to get a holistic view of your hardware and software landscape (for faster root cause analysis and resource optimization), to do predictive analytics across IT (most monitoring tools are reactive only), and to enhance IT events with business data (for example, understanding the individuals impacted by an IT outage). And, if you want to talk, let us know at lenovo@suse.com.